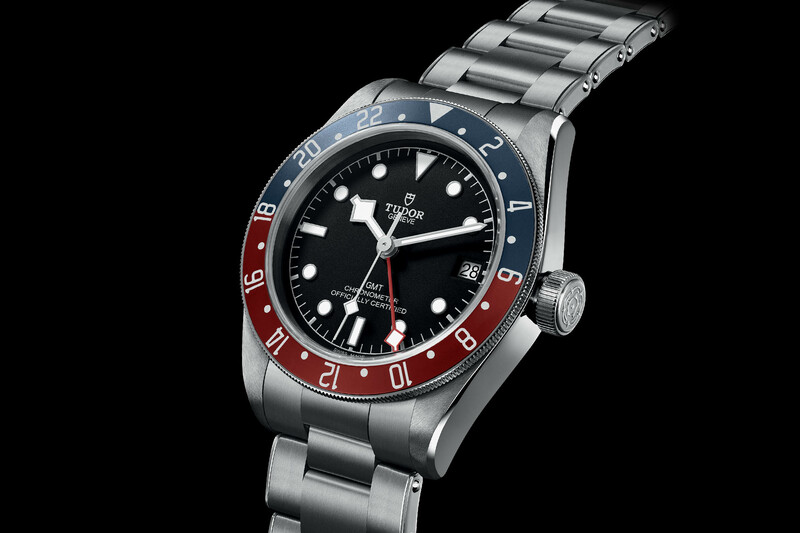 Tudor gives its Black Bay diver/chrono the Midas touch. 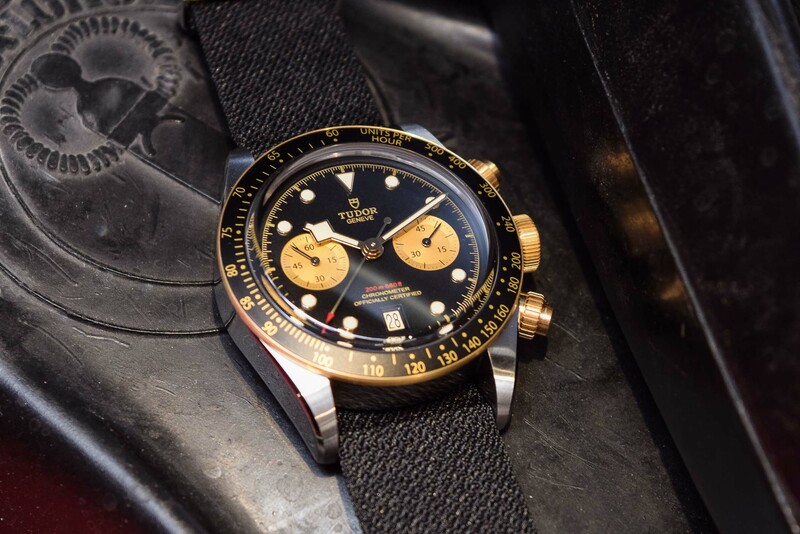 When Tudor first introduced its Black Bay Chrono model in 2017, there was a hullabaloo about incorporating chronograph functions on board a 200m water-resistant vintage-inspired dive watch. 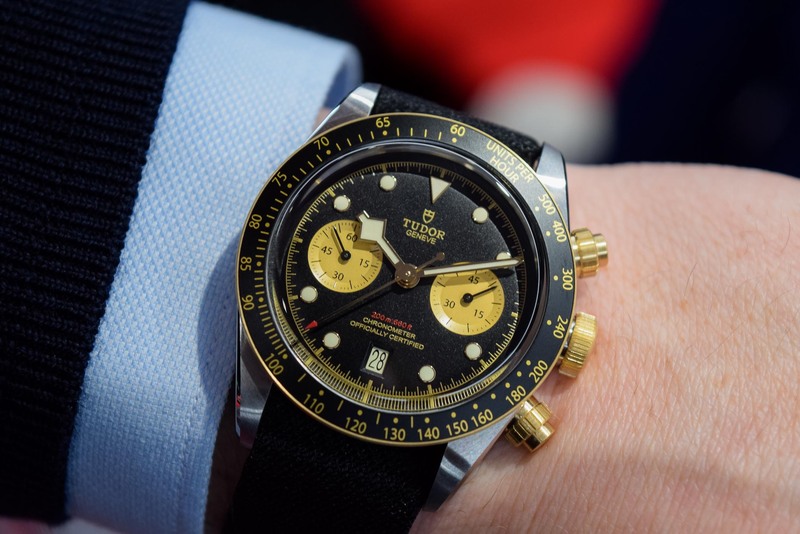 A diver without a rotating bezel replaced by a fixed tachymeter scale for the chronograph functions? For many, the combination of functions was unwarranted but over time, the initial animosity was replaced by enthusiasm. 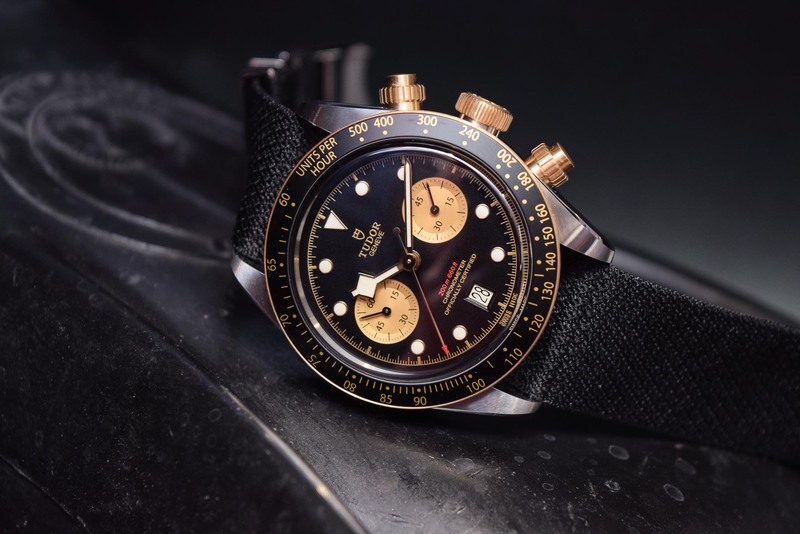 For 2019, the Black Bay Chrono is back in a 41mm bold two-tone steel and gold model with a host of bracelet and strap choices. The steel and gold case is by no means a novelty; Frank reviewed the Black Bay S&G model two years ago and predicted the unexpected return to two-tone case combinations. 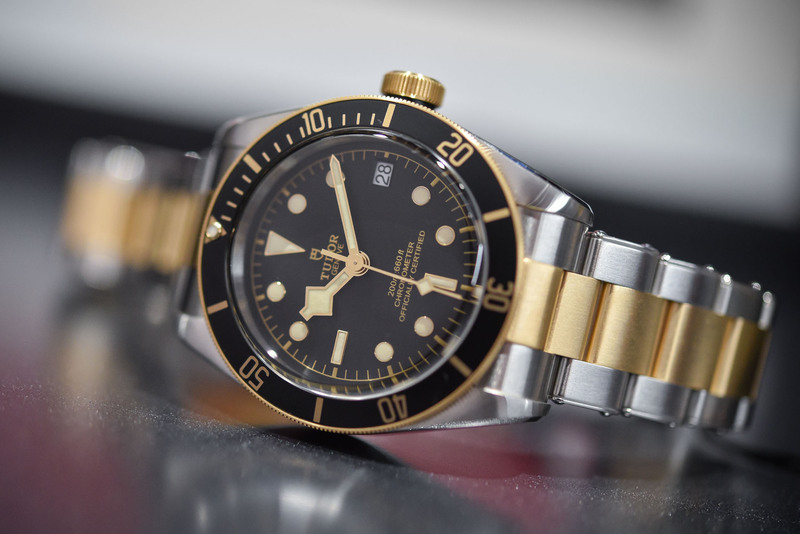 Following suit, the 41mm steel case of the new Black Bay Chrono S&G model is spruced up with yellow gold pushers (screwed to ensure the 200m water-resistance) along with a fixed (non-rotating) bezel in yellow gold with a black anodised aluminium insert for the tachymetre scale with golden markings. 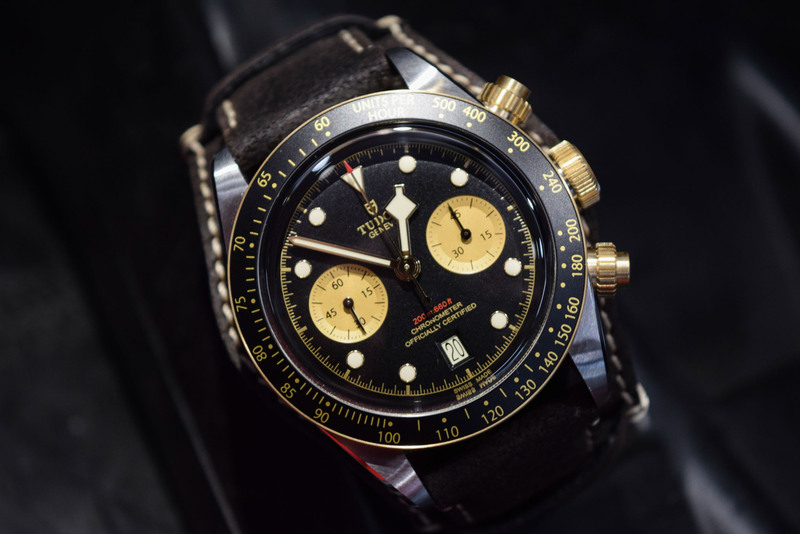 According to the brand, the yellow gold pushers were inspired by the very first generation of Tudor chronographs from the 1970s. 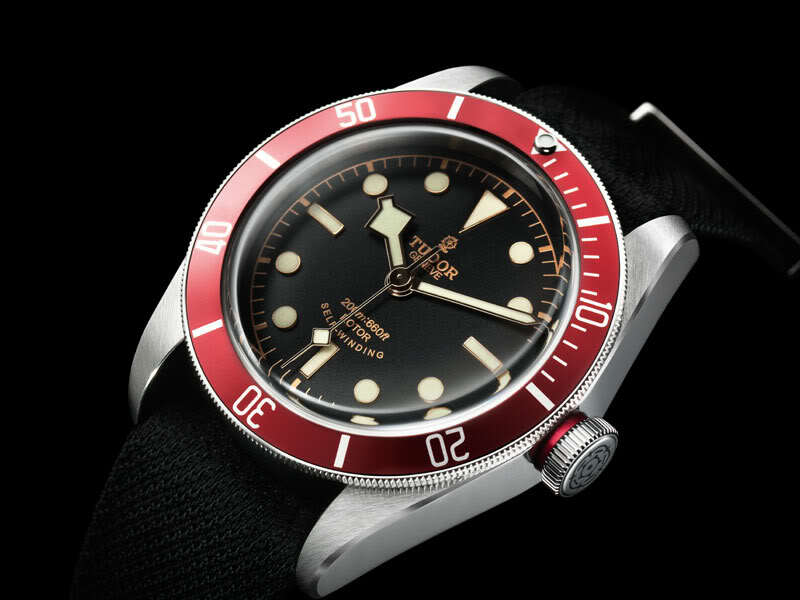 Polished and satin finishes add dynamism to the case and the XL winding crown with the Tudor rose in relief, characteristic of the first generation of Tudor divers, has been incorporated on this model. The black and gold colour scheme continues on the dial with its matte black domed background and striking chronograph counters picked out in a golden champagne colour and recessed for extra depth. Even the hallmark Black Bay ‘snowflake’ hands and hour markers have succumbed to the Midas touch but continue to exalt the sporty nature of this watch with the application of luminescent material. The sub-dial at 3 o’clock is a 45-minute elapsed time counter while the corresponding one at 9 o’clock functions as a running seconds. 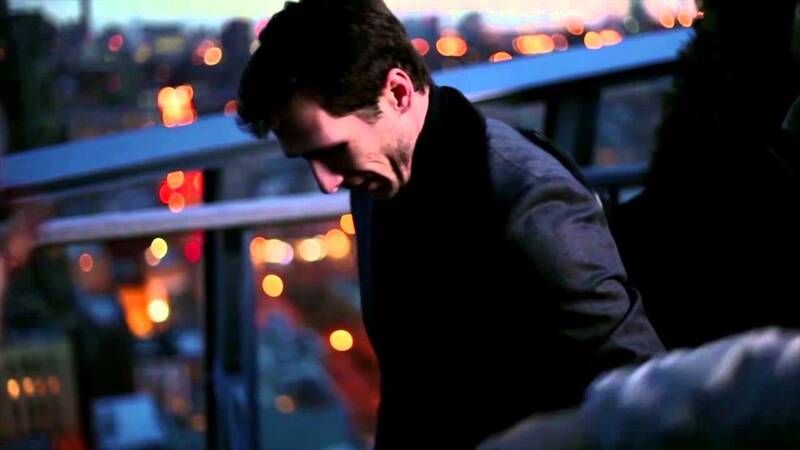 An instantaneous date window with rapid adjustment is placed at 6 o’clock. The attention to detail of the new model can be appreciated by the beige date window, designed to match the hour markers and the new red-tipped seconds hand. Powering the functions is the automatic manufacture calibre MT5813 with a column-wheel mechanism and vertical clutch. 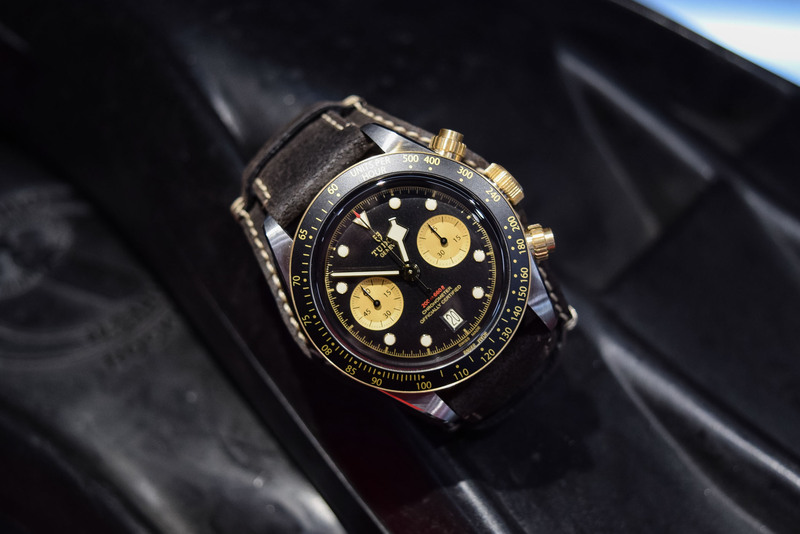 Developed in conjunction with Breitling, the movement is based on Breitling’s calibre 01 and fitted with a high-precision regulating organ developed by Tudor. A COSC-certified chronometer, the movement has a silicon balance spring and a robust 70-hour power reserve. 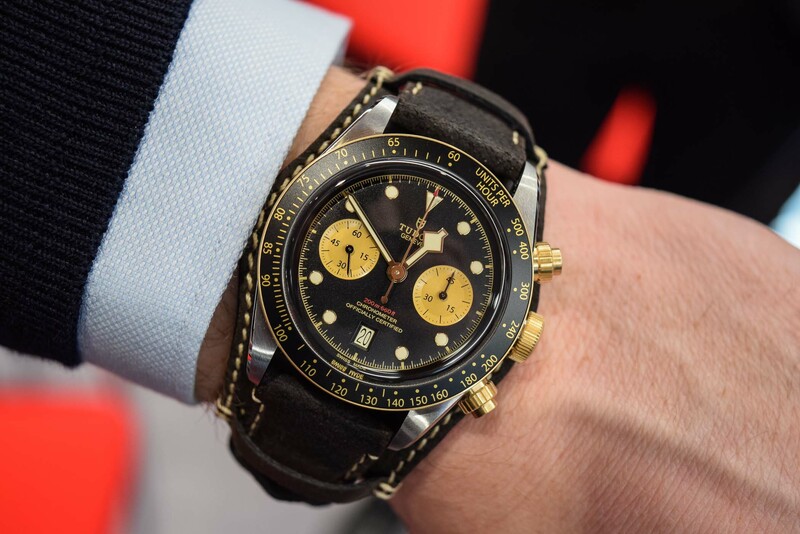 Three different straps can be combined with the watch: a riveted steel and yellow gold bracelet, a brown leather strap with removable bund – both options with a folding clasp and safety catch – or a black fabric strap with buckle. 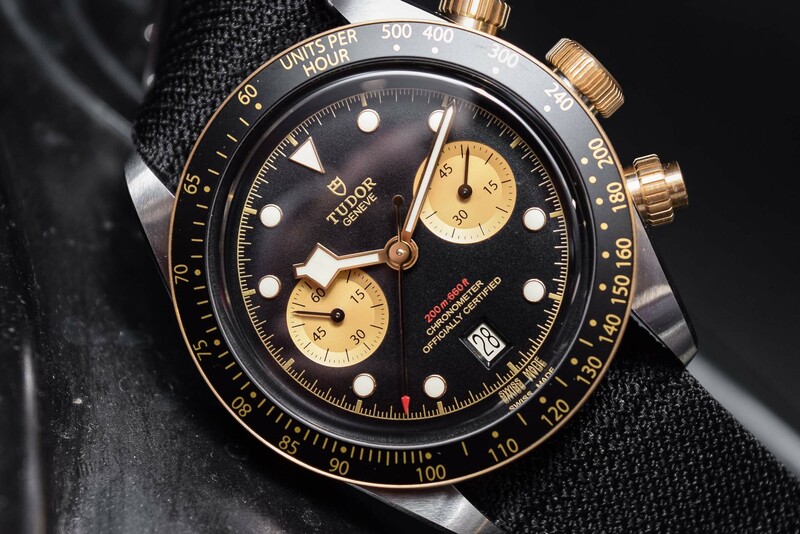 The Tudor Black Bay Chrono S&G on a steel and gold bracelet retails for CHF 6,500; the model on a leather strap CHF 5,350 and the model on a black woven strap CHF 5,350. 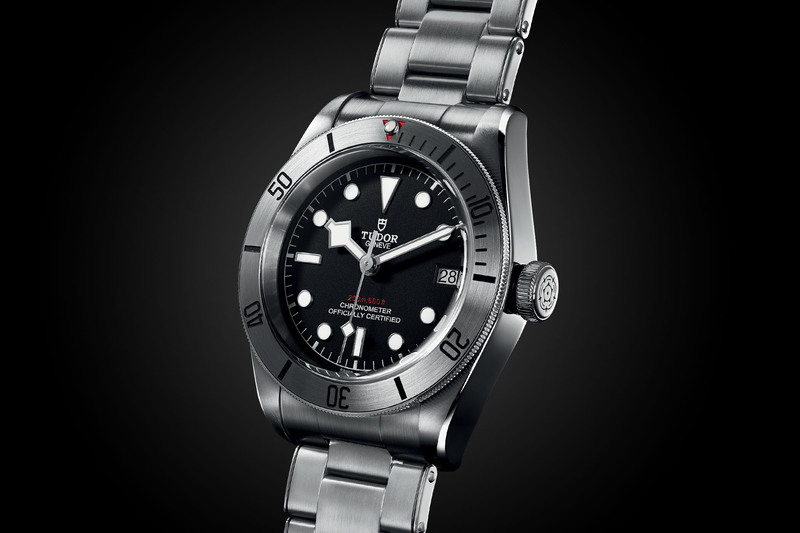 For more details, please consult www.tudorwatch.com. “jumped the shark” on this one. I have to agree with Mr Vogel. I even found the white stitching on the leather band to be somewhat distracting. There’s just too much going on for me.